A mere decade ago, few companies were thinking about marketing acronyms like SEO and PPC. 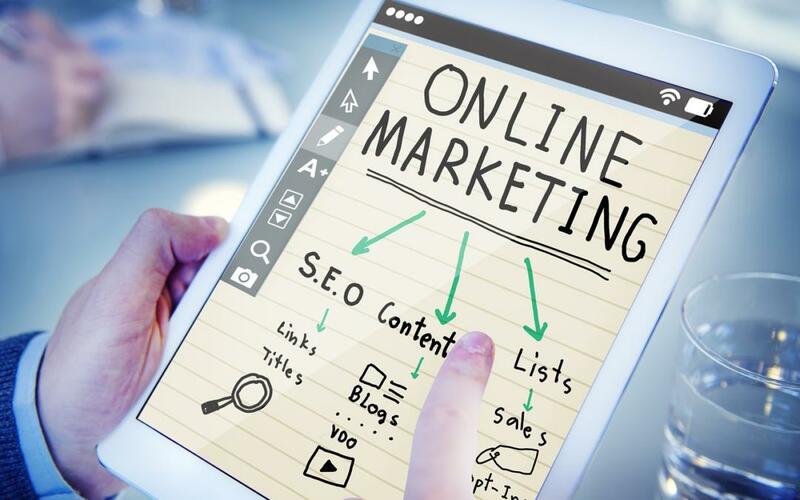 Small and large businesses alike thrived on old-school marketing methods that didn’t include social media platforms, search engines, and concerns about lead conversion. But times have changed. Now, to stay competitive, businesses have been driven online and into media marketing. SEO and PPC are more important than ever before – and hundreds of business owners don’t know where to begin. SEO, or search engine optimization, is used to generate organic traffic by achieving a high ranking on search engines like Google and Bing. Your ranking is based on ever-changing algorithms that aim to place the best websites at the top. However, since these algorithms are forced to use quantitative data rather than qualitative data, they have loopholes. SEO marketers use these loopholes to improve their ranking. For example, current algorithm patterns suggest that long-form writing, keyword use, and inbound links from authority websites remain important in ranking determination. So, naturally, companies interested in organic traffic publish long articles, use well-researched keywords, and encourage inbound links. PPC, or pay-per-click, is more straightforward. In this form of marketing, businesses pay search engines to display targeted advertisements for specific keywords. These advertisements are located at the top of most search result pages. For each click your website receives, your expected payment will increase. The two major differences between SEO and PPC are easy to spot. First, paid advertisements from PPC campaigns are displayed above organic results from SEO. Second, traffic from SEO is free and sometimes more effective than traffic from PPC. In this article, we’re going to discuss the unique benefits of SEO and PPC. Then, we’ll explain why these modern resources are even better when used together. Awareness – SEO is an impressive way to drive awareness without spending money or creating advertisements. For each keyword you successfully target, your business will be placed in front of potential customers. Branding – When you search for information on Google, you expect a certain level of quality from top results. This expectation promotes authority and trustworthiness in high-ranked websites. Therefore, the higher ranked your website, the stronger your brand. Affordable – The true value of your SEO campaign is translated into time and effort. You won’t spend actual cash – unless you pay someone to complete the tasks required for website optimization. Even so, your total investment won’t be based on a projected fee. You’ll know the expectations upfront. Organic Traffic – Organic traffic is often more valuable than paid traffic. When you reach potential customers organically, you improve your chances of being remembered. Plus, you’ll always be found using the same keyword. In terms of PPC, a single keyword audience might be exposed to several dozen advertisements in a period of weeks. There’s no guarantee your link will be there when they return. Strategic – Unlike PPC, conducting a successful SEO campaign requires a strong and thorough strategy. It can take months, and sometimes years, to meet your ranking goals. However, once you’ve positioned yourself, it won’t be easy for competitors to push you down. Positioning – PPC advertisements are located above organic search results, guaranteeing visibility from your target audience. Visual Advertisements – Unlike organic results, certain PPC advertisements can include an image. These pictures have 50% more potential to capture the attention of your target audience than postings without an image. Speed – While SEO can take weeks, months, or even years to succeed, PPC campaigns can be created in a single afternoon. By the following week, your website traffic will increase. Whether this boost will last, however, remains an important question. Laser Targeting – PPC allows marketers to target their exact audience through factors like day of the week, time of day, language, geography, and device. Businesses aren’t limited to keywords and phrases. Data Analysis – Perhaps the most important benefit of PPC marketing is data analysis. You can develop split-test ads, landing pages, and tracking sequences to determine where your best results are coming from, leading to better campaigns in the future. Shared Data – Think about how much data you gather during a campaign. Now, imagine doubling that data and using your findings to improve your marketing strategy in real time. When you combine SEO and PPC, this becomes possible. For example, if the keyword “personal injury attorney” is performing well through your PPC campaign, you might decide to invest time and energy adding that keyword to your website. Increased Exposure – Whether your campaigns inform each other or not, you’ll get twice the amount of visibility when you invest in both PPC and SEO. The more exposure you have with your base, the better your website will perform. So, even without the heavy lifting, using both marketing strategies can improve your bottom line. Mutual Improvement – Recent studies have shown that SEO and PPC improve one another, even when you haven’t intentionally paired them together. For example, SEO-friendly web pages can boost the performance and lower the cost per click of your PPC campaign. In the same way, your PPC campaign can boost the performance of your organic links. Consumers prefer companies that have both paid advertisements and organic search results. The placement of your link twice on a single webpage, in two different formats, can drastically increase the authority and trustworthiness of your brand. However, while consumers are more apt to choose your company, they’ll more often click the natural link provided by your SEO campaign. Ironically, this can save you money and drive traffic at the same time. At J2O Designs, we have years of experience building impressive websites, generating leads, and developing marketing strategies for our clients. Contact our expert team to learn more!